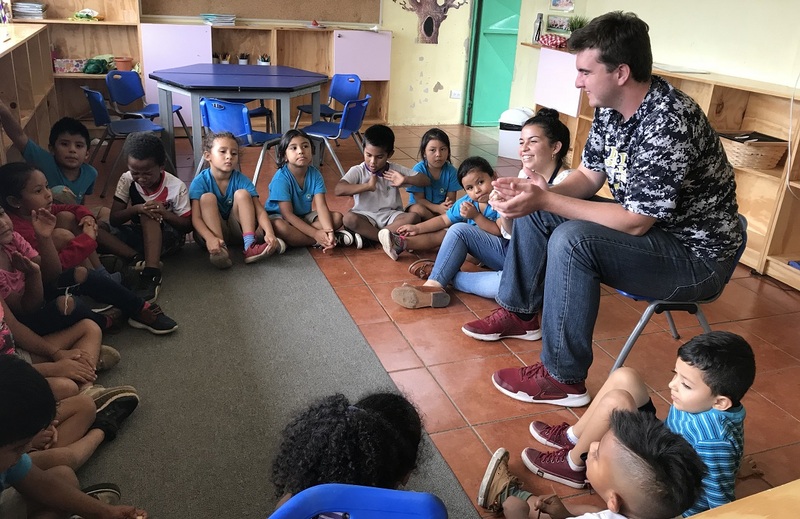 Stephen Thomson, C'19, teaches English to children in Pavos, Costa Rica. 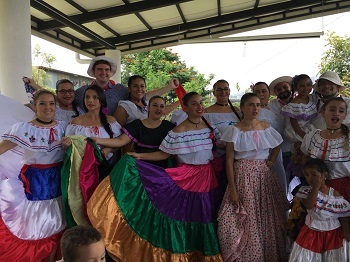 Participating in a traditional Costa Rican dance dressed as a campesino and making lasting friendships as part of a hunger outreach effort are experiences that Stephen Thomson, C’19, an international studies major, will always remember from his volunteer service trip to Costa Rica this past summer. 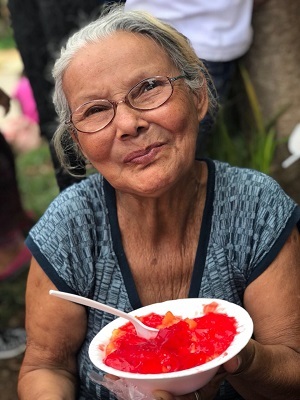 Thomson taught English using songs and short stories at the Pavas location of Fundación DEHVI (vital human development), an organization that operates elementary schools focusing on specialized education and nutrition programs. In addition to teaching English, Thomson served meals, played games with the students and participated in a project to help students appreciate nature. He even shared in the celebration of the Annexation of Guanacaste Day where he participated in traditional dance dressed as a campesino! In addition, Thomson served with Asociación Obras del Espiritú Santo (AOES), a Catholic, faith-based, grassroots organization that works to provide poverty relief. He worked in the AOES’s daycare program, which offers daycare free of charge for parents in impoverished communities so their children have somewhere to go while the parents are working. He also served with AOES’s Hunger Outreach Program. “The most moving experience for me as a part of the Hunger Outreach Program was the Saturday that I went to the town of Infernito. The name of the town in Alajuela literally translates to ‘little hell,’” Thomson reflected. “I truly felt as though I was making a difference in the lives of many people, and I felt incredibly blessed to have such an opportunity to serve.” He was also deeply moved by the genuine concern the Costa Rican people demonstrated for their neighbors. “Everyone I met was incredibly genuine and I formed lasting friendships,” Thomson noted. Jamie Gianoutsos, Ph.D., assistant professor of history and director of the Office of Competitive Fellowships, said that her office was delighted to partner with the political science department to offer Stephen a summer grant for his travel and living expenses. “Stephen’s experience in Costa Rica afforded an unparalleled opportunity to build personal relationships and to serve communities in a region of the world that greatly interests him; at the same time, these relationships helped Stephen develop his Spanish-speaking skills,” Gianoutsos said. In applying this fall for a Fulbright Fellowship, Thomson described his experiences in Costa Rica in his application. 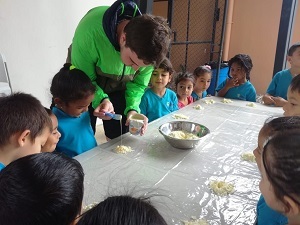 He applied for a Fulbright English Teaching Assistantship with the hope of returning to Costa Rica and continuing his relationship with these communities.